Buy this Hand-Face-Body Scrub at RM 68.20 (20% off retail) when you become a member of NewLife International. 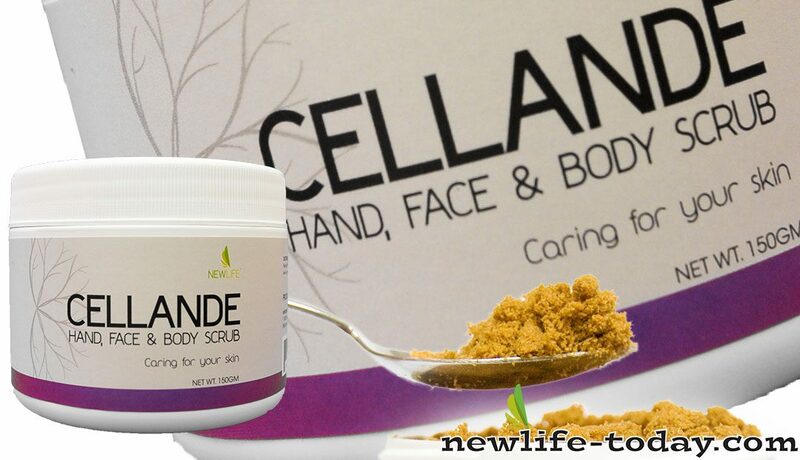 Cellande Hand, Face & Body Scrub is organically formulated for you and the environment. Derived from pure vegetal bases of copra, micronized pine cellulose and essential oil of lavender, it can be used on any area of your skin for deep and thorough cleansing. Moisten hands with water. Vigorously rub about one teaspoonful of scrub into the creamy lather. Massage into skin using a circular motion, working gently over more sensitive areas. Rinse currently and pat dry. Cellande cleanses, moisturizes, rejuvenates & heals. Cellande contains all natural ingredients. Everyday our skin eliminates about 2 lbs of acid wastes and every 24 hours the body grows new skin, Cellande HAND, FACE AND BODY SCRUB contains ‘Essential Oil of Lavender’ an important ingredient that helps promote healthy skin-growth, remove dead skin cells, catarrh, uric acid and all other acid wastes. Removes dead skin cells, stubborn dirt, make-up and other skin applications that clog the pores. Provides thorough cleansing of the hand, face and body. Cleanses, moisturizes and softens the skin. Improves skin disorders – Dermatitis, Eczema and Acne. Helps in prevention and removal of blackheads. Prevents the skin from cracking. Relieves itching, insects stings, sunburn, minor burn and minor skin infections. Moisten hands with water and rub cellande vigorously into creamy lather. Massage the skin, working gently in circular motion over more sensitive areas. Rinse thoroughly and pat dry. Use daily.